"Quality Work at an Affordable Price"
There are so many reasons to hire a professional painter in the Pittsburgh, Pennsylvania area to decorate your home or treat problematic decking or roofing. Perhaps you don't have the time to do it, or maybe you want someone who will do a better job than you might be able to. 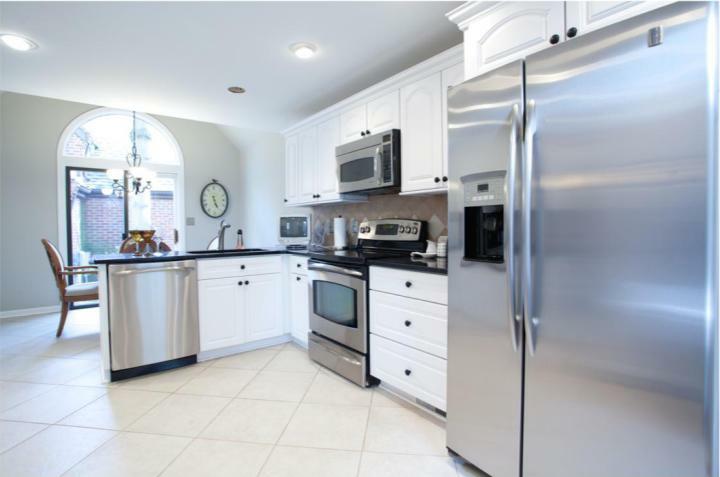 And if you live in Pennsylvania, and looking for a talented painter with 26 years of experience, then Mario's Painting & Home Maintenance, LLC, owned by Mario Jenkins, is the company that you are looking for! Mario's passion for painting Pittsburgh homes and businesses continues to grow year after year and loves sharing his passion with Pittsburgh and the surrounding areas. 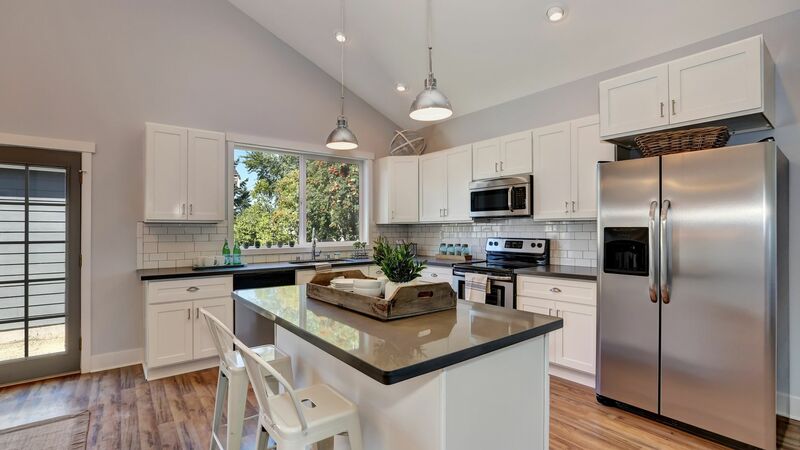 Mario offers both commercial and residential painting services that include (but are not limited to) interior painting for your walls and ceilings, exterior painting for your home's siding or roof, garage floor painting, cabinet refinishing, and our specialty: customized painting! Proudly Lead Paint Certified, Mario is fully qualified in handling lead paint as well as the removal of wallpaper. Mario's Painting & Home Maintenance, LLC can remove even the toughest wallpaper and the repairing of dry walls. Mario's Painting & Home Maintenance, LLC can pressure wash your walls, driveways or sidewalks removing tough to get rid of dirt, grime and mud. We can also stain your decking to make them look shiny and brand new! But what is it that makes Mario the perfect painter for your painting job? Some painters might leave you to clean up once they have left, but not Mario. Mario prides himself on making sure that your home or place of work is left as immaculate as he found it, ensuring that everywhere is spotless! Exterior painting surfaces are prepared by cleaning and scraping as needed. A high quality paint is then applied when the surface is dry and there is no rain forecasted within the next 24 hours. Interior painting surfaces are washed and scraped as needed. A superior latex paint is then brushed or rolled on to walls and ceilings making your Pittsburgh area home look new again. Office walls are prepared by cleaning as needed and filling in any dings or holes. Then tough, long lasting latex paint is rolled onto walls making the office a happy work environment which is appealing to employees and customers! Decks take a beating from the weather. Ideally decks should be painted or stained every one to two years. Otherwise moss and mildew will grow in the cracks and pores where water collects. Our Pittsburgh painters prepare decks by first replacing damaged or rotten wood and then pressure washing the decks to remove mildew, mold, moss, and dirt. Then one or two coats of a waterproof paint or stain is applied. Suddenly the deck looks new again! 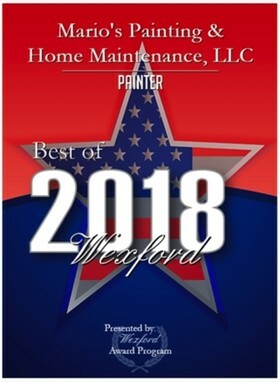 Mario's Painting & Home Maintenance, LLC was chosen for the 2018 Best of Wexford Awards in the category of Painter. The Best of Wexford Award was created to acknowledge the best businesses in our community.